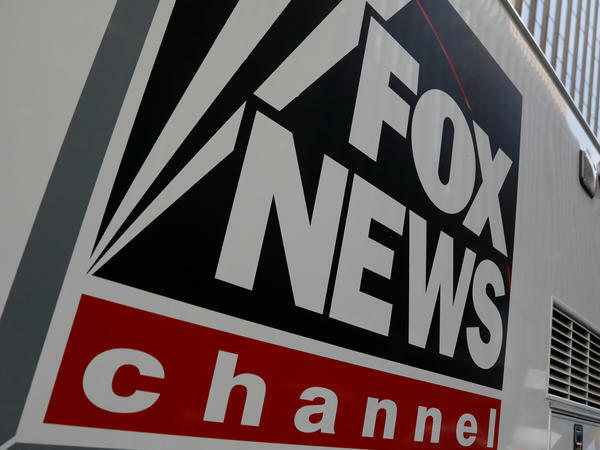 On the Friday before Christmas, Fox News confirmed that its chief Washington correspondent, James Rosen, had left the network. After 18 years at Fox, he left without a goodbye to viewers or his colleagues. Today, NPR media correspondent David Folkenflik broke the news that Rosen had been under formal review for his behavior toward women. David reported that Rosen had been accused of sexually harassing three journalists at Fox. And David joins us now from our studios in New York. Hi there. SHAPIRO: Tell us about these allegations and the basis on which you're reporting this. FOLKENFLIK: Well, to start with, we're reporting this on the basis of my talking to eight of Rosen's former colleagues at the Washington, D.C., bureau of Fox News. Both Rosen and Fox News declined to respond to sort of the full details of what we're reporting today. The allegations, in terms of the three incidents of sexual harassment, spanned back 18 years and are as recent - and the most recent one was late last spring. They involved groping a colleague in a car on the way back from a meal; in one case, sexually harassing a state department producer; and the most recent one, pressing a reporter to the wall of an elevator, attempting to kiss her and trying to kiss her again forcibly when being rebuffed. SHAPIRO: James Rosen was a prominent on-air personality at Fox. Remind us about his role. FOLKENFLIK: You know, Rosen was the chief Washington correspondent. He had covered a lot of issues involving diplomacy and national security issues. He had written a biography of the former attorney general, the late John Mitchell - and calling for a kinder reassessment of Mitchell's role in the Watergate scandal under President Nixon - but most notably had been known for doing reporting on American intelligence about North Korea. And that incensed the Obama administration to such an extent that the Justice Department launched a formal leak investigation into him. He was seen as a serious guy in that bureau. SHAPIRO: This obviously comes after several high-profile figures at Fox were - lost their jobs over sexual harassment scandals. And today, you're reporting that many women at Fox felt the network was slow to pay attention to the Washington bureau. What was going on there? FOLKENFLIK: Well, to be fair, they had a lot to pay attention to here in New York at their headquarters from their founding CEO and chairman, Roger Ailes, on down. Ailes was forced out - bought out - in July 2016 before his death. You know, the former Fox star Bill O'Reilly, Eric Bolling and an executive named Francisco Cortes - a bunch of folks were forced out. They say they also got rid of a slew of executives who had been thought to be in some ways complacent or tolerant of such behavior in the past and that they're trying to make a new day. At the same times, a number of women in the Washington bureau have said, you know, there were other instances and incidents reported over the years, including a formal EEOC complaint, which itself was dismissed. It's taken too long to pay attention to what's happening here in D.C., and indeed, in the last six months, a full-time HR person has been based there. SHAPIRO: By way of disclosure, we should say people at NPR have also lost their jobs over sexual misconduct complaints. Where do things stand at Fox News now? FOLKENFLIK: Well, you know, there was this remarkable interview that Fox News' controlling owner and the CEO, Rupert Murdoch, gave to another one of his media sites, Sky News, in December, saying that the sexual harassment claims involving the late Roger Ailes were isolated instances. I think the formal review that was occurring even at that time in mid-December proves otherwise. And you know, there's concern at Fox News over whether or not the stuff's been taken seriously. Officials say - there - said they've made such sweeping changes. It proves that they have and that if they were to comment, I would imagine they would say Rosen was part of that. SHAPIRO: NPR media correspondent David Folkenflik, thank you.